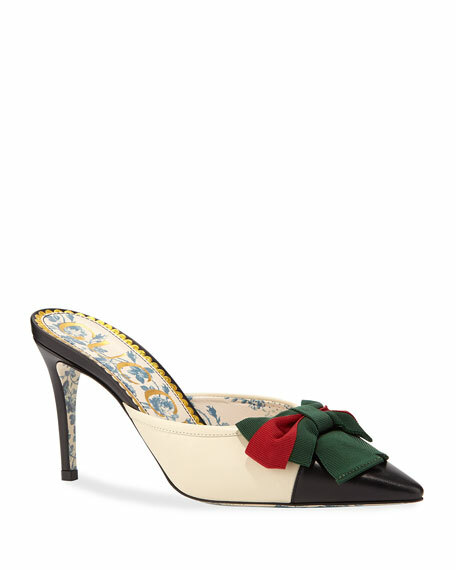 Gucci two-tone leather mule with green/red/green Web grosgrain bow. Rosebud-print leather lining and sole. 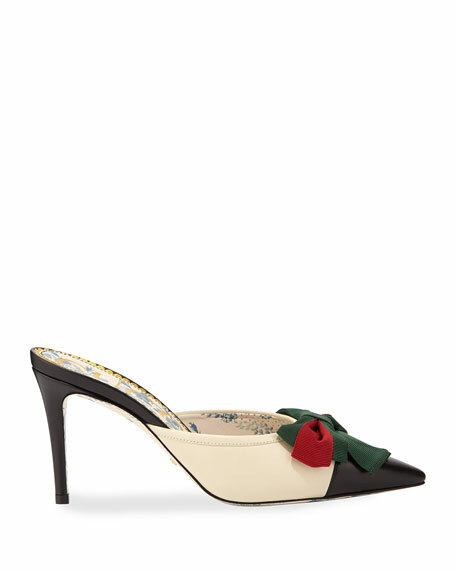 Gucci glittered mule with metallic leather trim. 0.3" flat stacked heel. Round toe. Golden horsebit buckle. Notched vamp. Slide style. 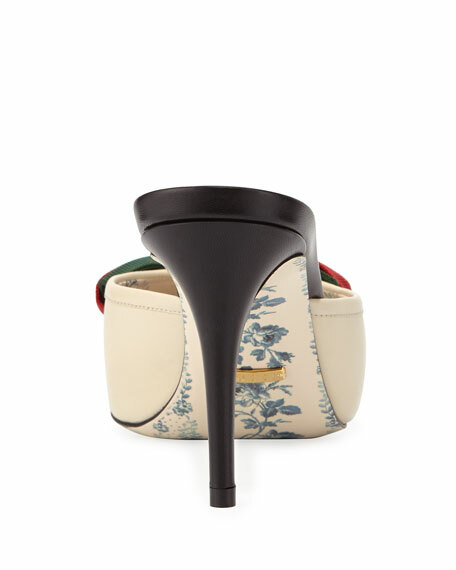 Gucci glittered mule with metallic leather trim. 0.3" flat stacked heel. Round toe. Golden horsebit buckle. Notched vamp. Slide style. Padded footbed. Smooth outsole. Made in Italy. Fit: Runs true to size. Gucci mule slipper in metallic leather. Angry Cat appliqu?? on left vamp. Flower appliqu?? on right vamp. Flat heel. Rounded apron toe. Golden horsebit detail. Leather outsole. Elastic slingback strap. Made in Italy.